Happy Saturday! I have had a bunch of stuff I’ve wanted to share here for a while – just a random mishmash of things we’re doing, things we’re loving, and things going on. And so I thought I’d pop in today with a totally random roundup of all those things! Let’s go! Omg, I am so obsessed with these Hardbite Parsnip Chips. They are salty and amazing, and I almost always end up eating the entire bag. And now that I just looked at the website I see that they also have carrot and beet and SWEET ONION chips, so now I will be on a mission to find all of those. I originally bought them intended for Casey, since there are only 2 carbs per serving (and he’s eating a low carb diet these days), but now every time I go to Whole Foods I have to get like four bags because we go through them so quickly. Dangerous, but I’m telling myself it’s better than a potato chip. Speaking of beets, I’m also on a beet kick. 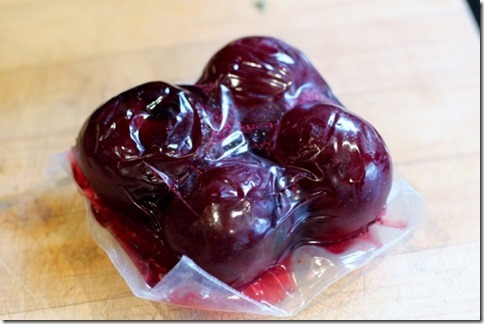 Beets are one of those things that I absolutely love to eat, but hate to cook. So I was really excited to stumble across a big pack of organic Love Beets at Costco recently! They have four packs of four in each box, and I love that they are portioned into smaller servings. I’m on a serious salad bender right now – I eat one almost every day for lunch. 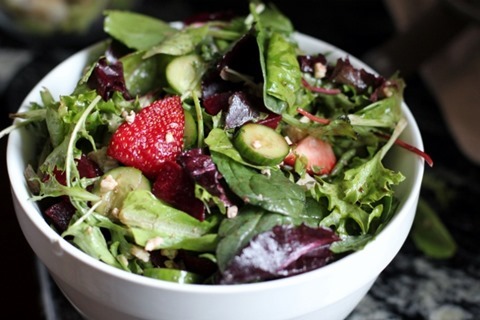 My current favorite combo includes spring mix with sliced beets, strawberries, cucumbers, pumpkin seeds, and an alarming amount of blue cheese crumbles. In fact, I am eating one of these as I write this! Then I drizzle the whole salad with olive oil and this fig vinegar from O&Co. Obsessed, and so easy. I don’t even mix the dressing up – just drizzle and toss. But I DO think that the key to a good salad is to take the extra few minutes to really toss it all together before serving. I hate getting salads where everything is loaded on top, and then you have a bunch of dry greens at the bottom. 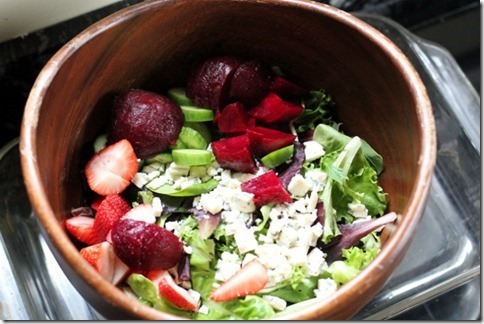 So I always add it all to our big salad bowl, get everything all mixed up and tasty, and then pour it into this big white serving bowl that I use as a bowl for salads. You can’t possibly eat too much salad, right? We got another Blue Apron box this week, and Casey and I are planning to make one together tonight instead of getting takeout. Okay, that’s all for food! Besides blue cheese smothered salads, my other current obsession is essential oils. My mother in law has been doing it for a while, and I emailed her around the holidays to ask for some tips to get started. I should have known that she would (very generously) set me up for a new addiction! She sent me this SpaRoom essential oil diffuser, and I love that it fits in so well with the rest of our decor, rather than looking clunky and medicinal. Photo-bomb by Huey dog! I keep it right in the middle of the living room to maximize our exposure to it, and I usually run it once in the morning, and again in the evening. Those one has a setting for running continuously for 3 hours, or running every 30 seconds for 6 hours. For Christmas and my birthday, she also sent me an amazing collection of oils to get started! Right now I have the following: chamomile, frankincense, cinnamon, orange, lemon, lavender, eucalyptus, lemongrass, and thieves blend. I love combining different oils for different scents and effects. There is still so much I need to learn about essential oils, but right now I’m having fun getting started. They have incredible health and medicinal benefits when used correctly, and I’m excited to add to our natural remedy arsenal. I have considered buying two small, inexpensive diffusers for the boys rooms and running a blend of lavender and chamomile at night to calm them and help them sleep. Wishful thinking that anything will help Graham sleep past 5am! 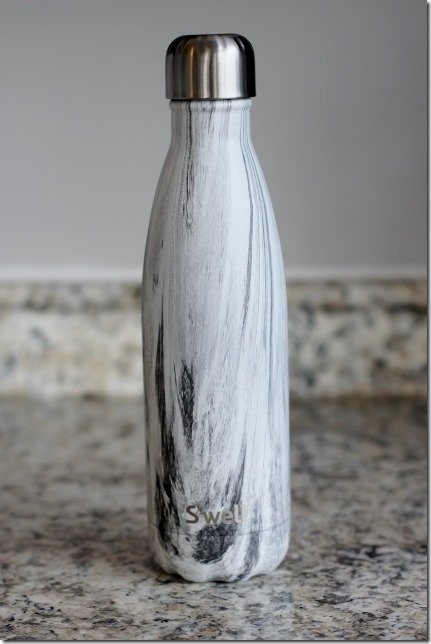 In other fun new product news, my best friend Lindsey sent me this S’well Bottle for my birthday, and it is amazing! I love the wood grain pattern and the fact that it absolutely does not leak. It’s the perfect size, and can keep drinks cold for 24 hours, or hot for 12 hours – and it really works! These bottles would make a great gift for any fitness lovers you might be shopping for. Two thumbs up from me! 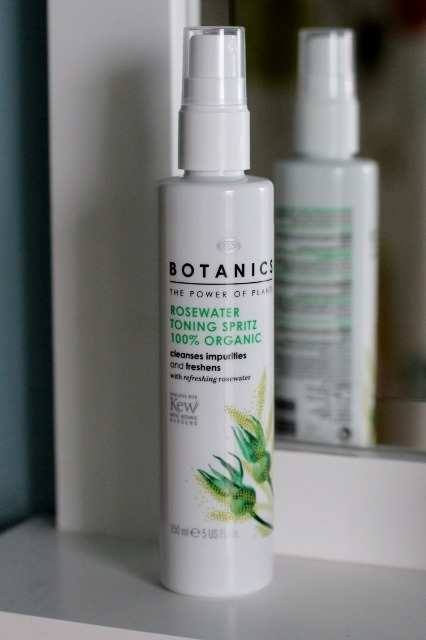 My sister sent me this Botanics Rosewater Spritz for my birthday (oops, didn’t realize I was just highlighting birthday gifts here), and it is awesome! I spray it on my face after I’ve done all my makeup, and it makes me feel super refreshed. When I hit 35 last month, I did a good amount of thinking about who I am, where I’m heading, and how I’m taking care of myself throughout that journey. I feel like my eating and fitness are headed in the right direction, but I know I could still do better with self care. One area in particular that I have neglected, well – forever, really – is skincare. I have been lucky that my skin is fairly good, but because of that I’ve been super lazy and really done nothing for it. Most nights I don’t even bother taking my makeup off – I just wash it off the next morning in the shower. How bad is that? Now that I’m getting older I’m more aware of the signs of aging, and I’d love to sloooow that down if possible, but not through the use of scary chemicals. My friend Lindsay is a consultant for BeautyCounter, and since she knew I was interested in trying some natural face products, she sent me this amazing sampler pack. I don’t know if it’s because I had no skincare routine at all before, or if it’s from using these high quality products – but whatever it is, my skin feels better than ever. I’ve been using the Eye Cream and AM Hydrating Cream every morning, and washing my face with one of the cleansers each night. I’ve also found myself wearing less and less makeup recently, as my skin has felt better and more refreshed, and I’ve felt more comfortable not being all made up. I will definitely be ordering some full sized bottles once these samples run out! I had asked Lindsay if she had a good makeup remover, because I’ve been buying those expensive wipes for a long time and they are pricey and never last very long. Imagine my surprise when she suggested coconut oil! I know coconut oil is famed to basically be able to anything – moisturize, soothe diaper rash, etc. – but I had never considered it for this use. And she was right, it works like a charm. I will never buy makeup remover again! I just rub it on my eyes and the makeup wipes away easily with a cloth. Amazing! Okay that’s enough random skincare talk from me. But continuing along my “wellness” theme here, I wanted to share two awesome new sites that two of my amazing friends have created. My friend Gina of Fitnessista has just launched Post Baby Bod – a resource for new mamas who are looking to shed some postpartum pounds in a safe, supported way. Her 12-week plan includes fitness routines, meal planning, nutrition support, and more. I know how hard it is to feel like “yourself” again after having babies, and I think this is such amazing resource! Also, my wonderful babysitter, Samantha, has recently launched her own health-focused blog called The Pursuit of Balance! She and her friend, Nicole, post every day on fun and creative topics, and if you are a twenty-something who can relate to workplace struggles, wedding planning, moving in with boyfriends, etc. – then you will love this. It makes me feel so old to think about what life at 25 felt like, but I remember it as been a really fun and adventurous chapter. And last but certainly not least, I figured I owed you guys a long 0verdue update on all things kombucha. I haven’t said much here since I first shared our family business news, but business is booming and continues to be exciting and challenging! 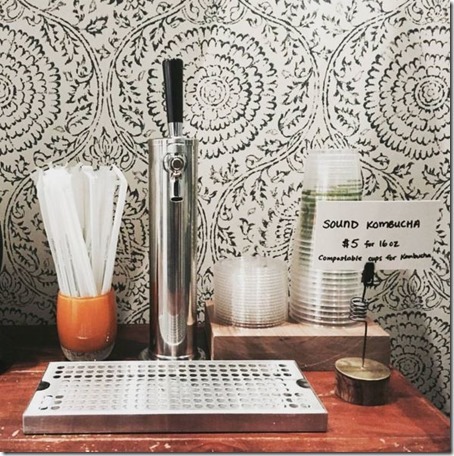 Bala Yoga – Casey installed a tap system in the tea bar of this yoga studio (Fremont location), and there is Earl Grey kombucha flowing all the time there now. 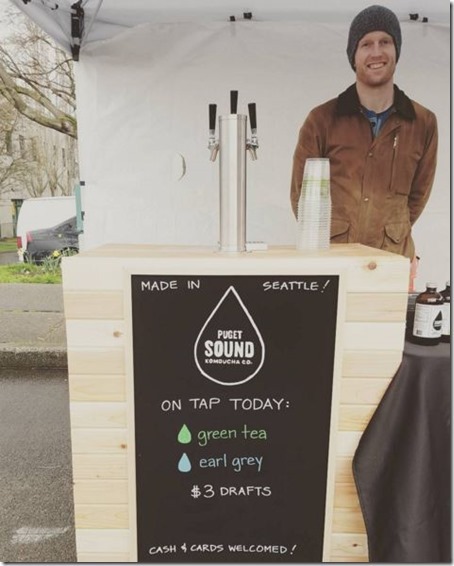 He’ll be adding a tap system to their Kirkland studio this month as well! 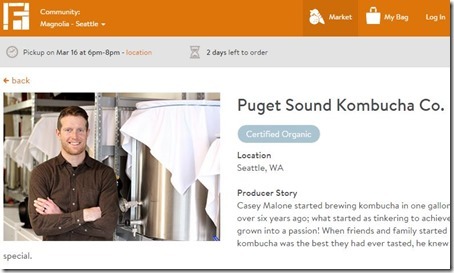 Farmigo – this is a really cool CSA-type of service that connects farmers and local businesses directly to consumers. There are pickup locations all over the city, and in addition to quality locally-grown produce, you can also get dairy, eggs, meats, seafood, pantry items, and now – kombucha! Peddler Brewing – this local brewery has added kombucha to their menu to offer a tasty, non-alcoholic option to their brewery customers. I think this is such an important market to serve, as there are lots of people who want to hang with friends and enjoy the brewery atmosphere, and who don’t just want to drink water. 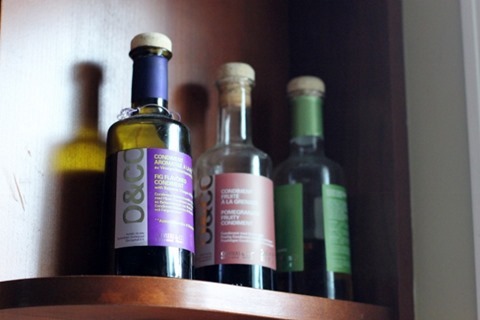 Plum Bistro – this delicious vegan restaurant in Capitol Hill now has our kombucha available in bottles, as well as a kombucha cocktail made with our Earl Grey blend. 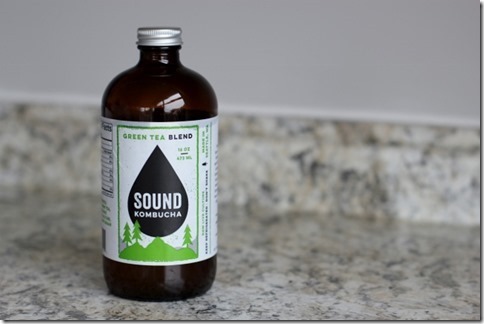 They are also serving kombucha at Sugar Plum, their sister vegan ice cream shop and bakery. YUM! Another big thing we are doing right now is the Fremont Sunday Market! 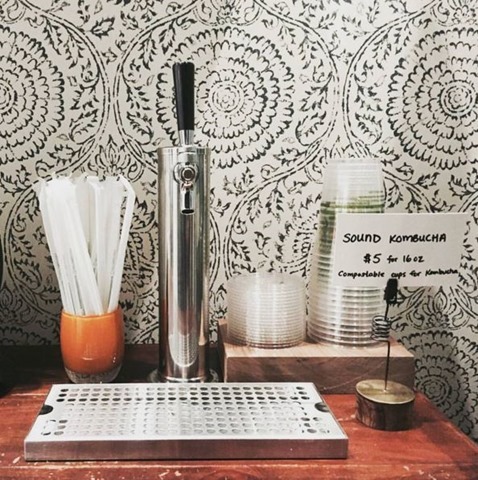 It runs every Sunday from 10am to 4pm, and we always have kombucha on tap, in bottles, and for sale by the case. We are there rain or shine (and let’s be honest, it’s only been rain so far this year), and we are really looking forward to summer at the market! Casey will be there all day tomorrow, so stop by and say hi if you are in the area! If you mention that you are a blog reader, he’ll be happy to give you a discount on drafts! We have a lot more in the works for the coming weeks, but I’ll wait to update you on those until they are made official. We also just hired our first full-time employee, so that should definitely help balance the workload. It’s so much work, but truly amazing to be doing what we love, and creating something ourselves. Casey is the hardest worker I know, and I could not be more proud of what he’s created and done this past year. Okay, that’s it from me today! A giant hodgepodge of random updates and thoughts – from parsnip chips to business updates. I hope you are having a wonderful weekend! « Previous PostCooking For One with Blue Apron. Next Post » The Old Brown Dog. 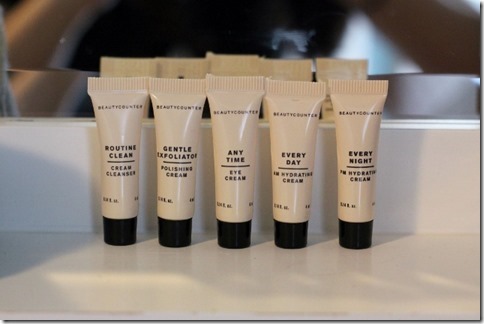 I’m not a “lotions and potions” girl, but I love Beautycounter! I am not a big makeup wearer, so I love how it makes my skin look smoother and feel better (I’m a little past 40). The body butter is wonderful! So happy to hear that — I am loving it too! I enjoy reading your blog and I value your honest and genuine reviews. You mix it up and keep it interesting- from travel, to personal growth, to parenting – you keep it real! Thanks so much! Really appreciate that! Was going to say exactly this. I’m so glad you’re still posting, Emily. You’re one of the few blogs I still follow. I love hearing about new products and doodads from others. 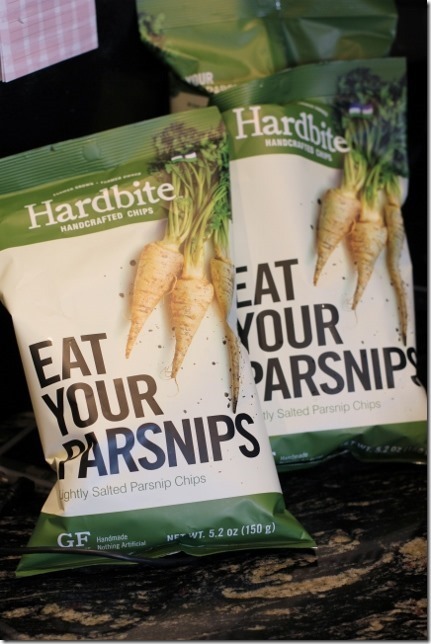 Now I want to try some of those parsnip chips. I’m your age and I know u r interested in taking care of your skin. The best tip I’ve ever gotten is to use sunscreen every single day on my face, rain or shine. I’ve done this since I was 18 years old and its benefitted my skin tremendously. Just thought I’d pass along this tip! By the way there are natural sunscreens out there like Babo & Mineral Fusion. I only use stuff with low EWG ratings! Thanks for that — great tip! If/when you decide to branch out to California, try New Leaf Markets. It’s a small chain of grocery stores that focus on organic foods, etc. I think your kombucha would fit in perfectly! Thanks for the tip — good to know! Those parsnip chips look amazing!! I also just got an essential oil diffuser last week and have started to play with combining different oils so I would love to hear what you come up with! My favorite so far is lavender and frankincense at night and then lemon and peppermint while I’m working. Well now I need peppermint! Haha! 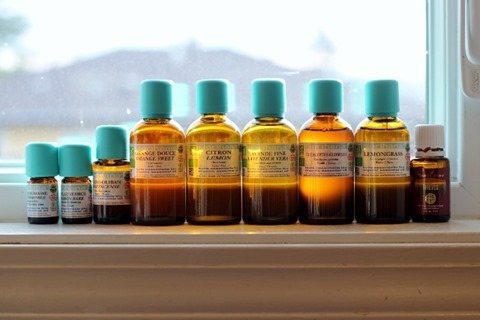 I just got a set of essential oils a month ago and have no idea what to do with them aside from put them in the bath, haha. Do you know of any good online resources for getting started (blog posts, articles, etc.)? Also curious about Beautycounter! Is it vegan/cruelty free? 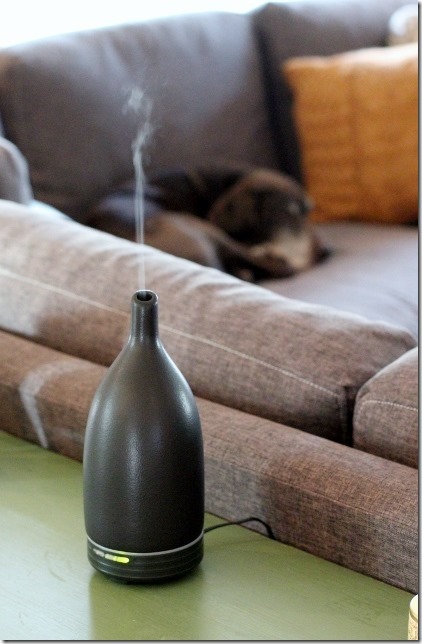 You need a diffuser for sure! I love it so much. Running constantly when we are home. I just asked Lindsay your Beautycounter questions and here is what she said — Beautycounter and it’s manufacturers do not test on animals and many items are vegan, but they are not all vegan. The items you tried are vegan! Hi Emily! So glad to see you’ve started using essential oils. Don’t know how I used to live without them! :) I found out 2 years ago I have lupus, and EO’s have kept me off of pain pills and scary meds. They help me with joint pain, sleeping issues, nausea, anxiety..they are truly a lifesaver for me. I use them in my homemade face cream, homemade all-natural cleaning products, homemade flea & tick repellant..the uses and benefits are endless. 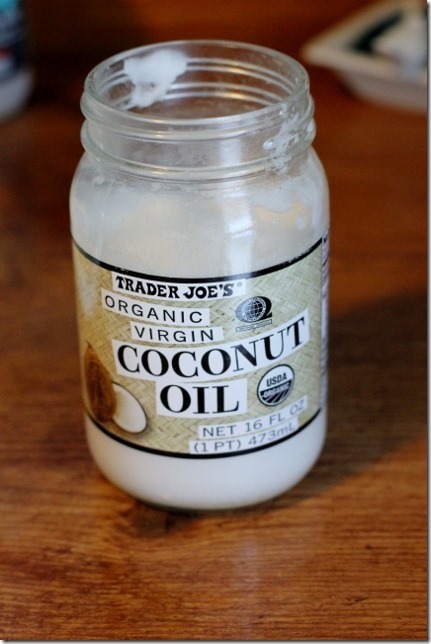 I’m going to try the coconut oil make-up remover..love that idea! What an exciting time in your life! I’m so happy to hear that your business is going so well. I have a question I’m hoping you could answer. I’ve been on the fence about order the Beauty Counter PM Hydrating Cream because I would love to know if it has a strong scent. I usually try to buy all my lotions/creams fragrance free, but I’ve heard such good things about this cream that I may take the plunge. Could you tell me if it has a strong scent and/or if it’s lingering? Hi Joy – Lindsay here :) – Emily may reply too, but I figured I would share that the PM cream (and AM cream) are fragrance free (as are all Beautycounter products). The PM cream definitely does not have a strong scent, but it does have a VERY light scent from the organic coconut oil in the product. It is not a strong coconut smell, but it does smell good to me! 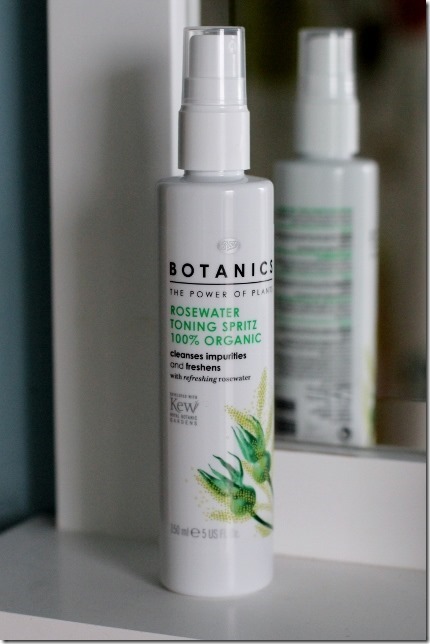 I think some fragrance free products have an unpleasant scent, but this is the opposite – a very light, good scent, in my opinion! This is so very helpful to me! I really appreciate you answering my questions. I’m now ready to place my order! Thank you! Also, I realized I missed one of your questions – the scent does not linger, at all! Hi Emily! Long time reader and just had to say “YAH Beautycounter!” I love their products and mission! Makes me SO happy to see when a blogger has discovered them. I use almost all their products and love the way they feel and make my skin look. There is also a kids line for bath! I am long overdue to jump into EOs as well. Thanks for providing your experience with them. What a post! I love the skin care tips as I have absolutely no skin care routine at all. I do take my makeup off every night and I use the (not expensive) Costco Kirkland brand wipes, they’re great and may be a good option for say, traveling? Thanks for the shout out, you’re too sweet! Hi Emily! Loved the fun post- thank you! 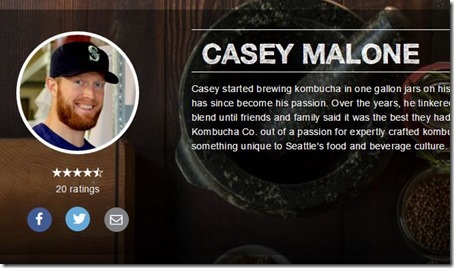 I’d be interested to hear more about how Casey’s switch from FT actuary to business owner has benefitted your family… if you guys would be comfortable sharing. It’s a pipe dream for my husband and I and I’d love to hear more of your story. I love my Swell bottle! I’m so excited for the day that I see your Kombucha in a Whole Foods on the East Coast!! 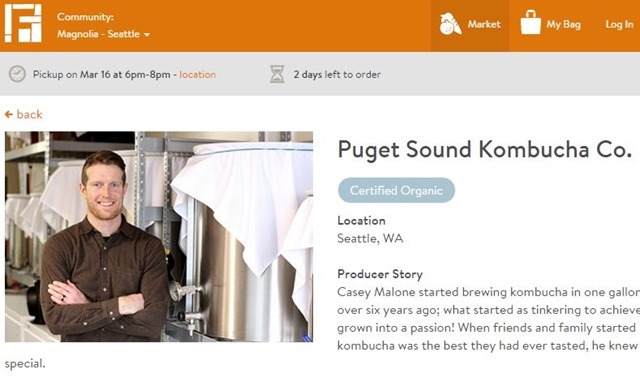 I keep looking at the Kombucha shelves here hoping to see it ;) So happy for all your success! Can’t wait to try it! Pingback: Daily Garnish » Blog Archive » All-Natural With LOLA. Pingback: Daily Garnish » Blog Archive » Fall Finds. Pingback: Daily Garnish » Blog Archive » Fun Friday Finds.